"Psychosis is a mental health problem that causes people to perceive or interpret things differently from those around them. This might involve hallucinations or delusions." 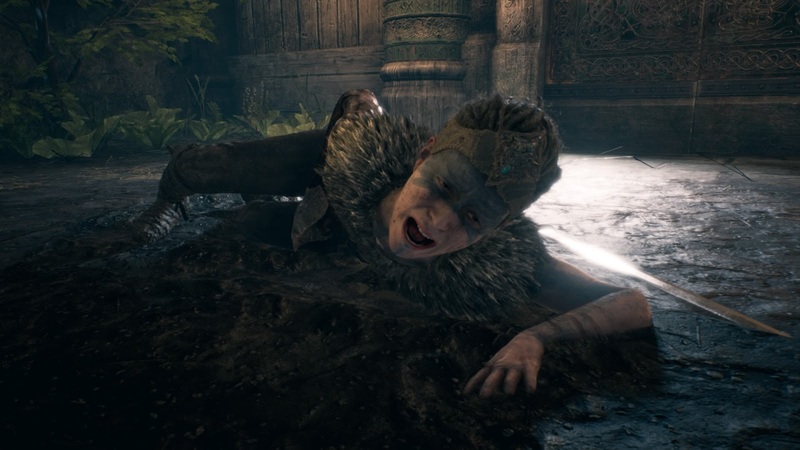 Throughout the game we actually see how Senua deals with this MH condition, we know she is a very young Celtic woman from the Viking age which was very savage, the opening scene shows us her traveling in a boat and we can hear voices whispering to her, some nice and some horrid. We come to see her surrounded by land which has large spikes with corpses on around her, the sky is dark and sets a very tense scene especially with the voices we hear whispering to her. It's safe to say it's not the best environment for someone who is suffering from a serious MH condition. 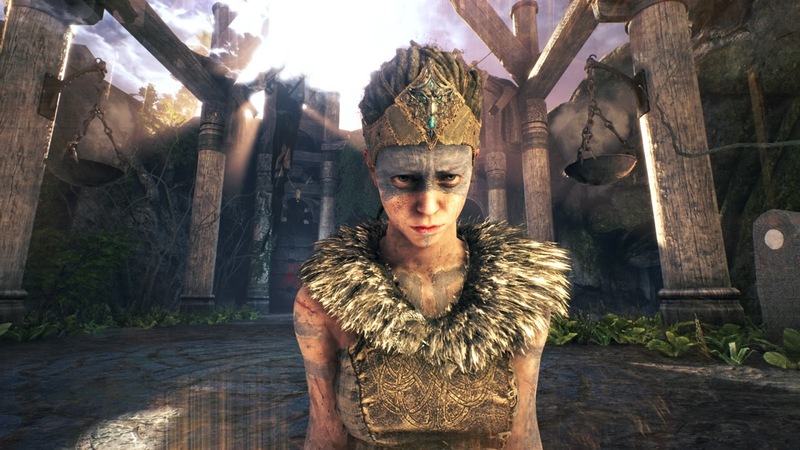 Unfortunately for Senua, she is an outcast in her tribe, the world to her is a very different one to the world to others in her tribe, suffering from hallucinations and hearing voices has made her a very paranoid young woman and seeing the world through her eyes is a huge eye-opener, The game portrays Psychosis in a way that I have never seen before and I personally think it is a great way to shed light on what people who suffer from Psychosis can go through at times (the game does also include a warning). At the start of this game I knew I needed to wear a headset to feel more immersed within the game, the sound was a lot more intense in my ears and made me feel like I was actually Senua at times, to hear the kind of things her mind would tell her was scary, it just goes to show how fragile we as humans can be and how our own consciousness can be our own worse enemy. Senua's quest she has chosen to undertake in a terrifying underworld is to battle the Norse queen of the underworld named Hela, she has captured the soul of Senua's husband. She decides in order to bring him back to the land of the living she must free him from the grasp Hela has on him but in order to do this Senua must fight her own demons which are a manifesto of her own psyche. Sometimes the voices she hears can say horrid things but what I've found whilst I'm fighting enemies is that they warn Senua when an enemy is behind her and encourage her to get up in order to survive so her own mind isn't completely against her, they also help guide me through the puzzles some of which drove me nuts. 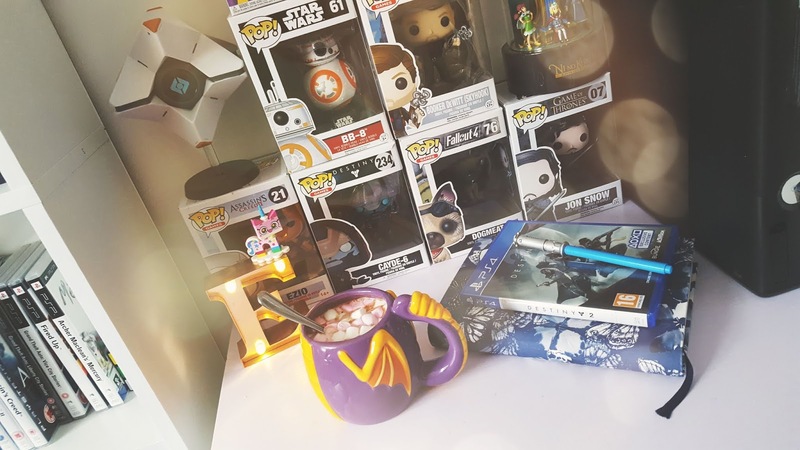 If you hate puzzles within games I can tell you now this game won't be for you, I did find myself at times looking at an online guide to try and make sense of what to do but other times it seems easy enough to work out. In order to solve the puzzles, you will need to concentrate and make sure you take in the environment around you, try to see things from a different angle which I found annoying at times at the start as I had no idea what I was meant to do. It wasn't until I came across these wicker arches with the skull of animals hanging from them, I would need to focus through them by using something called "Mind's Eye" then walk through the arch in order to make a wooden beam appear or a wall to break down. In a way, it's a very clever way of doing things and it makes you spend more time thinking about finding a way to get through the doors by completing the puzzles and whether or not something bad was about to happen! I'm so used to puzzles that have levers or finding secret entrances so it was nice to play a different kind of puzzle solving game. Each time I completed one puzzle I felt a sense of relief which was short lived as the feeling of dread overcome me soon after, whenever the voices would tell me that there is no going back once I jumped down off of a legend I would feel a little sense of panic and makes it clear that even if I wanted to go back into a different area I was basically fucked now. The whole game is very story driven anyway so rather than focusing on mechanics of a game it's more about Senua's mind and being driven to save her husband, us players are merely just a small part of the game guiding her to where she needs to get. The combat Style in Hellblade: Senua's Sacrifice is one I do enjoy, rather than running around to focus on an enemy you will be able to focus on them as soon as one appears so you can strike quicker, at times you will find yourself starting to slow down especially when surrounded by three enemies or close to death (which usually happens in games anyway). When I was fighting I found myself rolling around the floor a lot to avoid 3 enemies coming at me at once, I'm not the best at fighting in a game, but I'm really not too bad at this game! It took me a while to work out the best moves to use when fighting and it did annoy me that I didn't have a chance to practice how to fight so to be thrown into a game not knowing can be a little daunting but you learn pretty fast what you need to do and how to survive. You won't be able to find a map or HUD in this game, you literally have to follow a path and solve puzzles to get through doors that lead to more paths so you can find your way to Hela, on the way you will have to fight a few smaller boss's to Hela, I found myself having to take a break now and then because the game does get pretty intense, I would have to wait for the game to autosave first though as you're not able to save it manually. 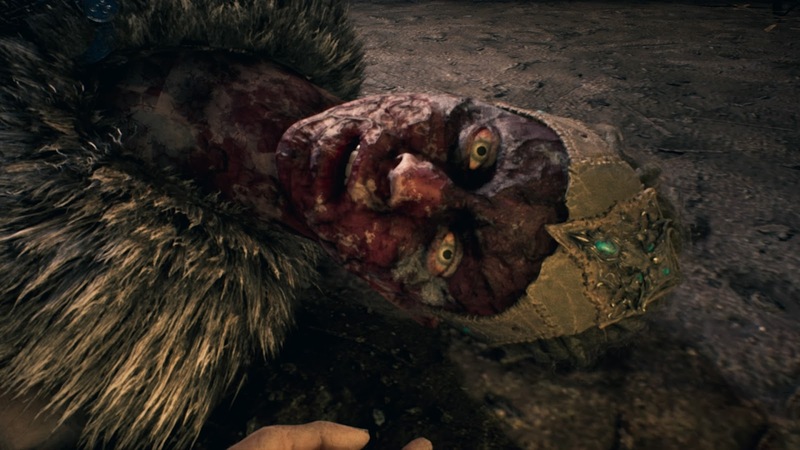 Now let's talk about the Permadeath, at some point at the start of the game you will be told that if you die too many times the dark rot on your arm will start to grow and once it's reached Senua's head you will experience a permadeath, I'm going, to be honest here I actually thought this was a cool idea and something that would make it different to current games out right now. I haven't experienced a permadeath, to be honest, I haven't finished the game yet but I also haven't died as many times as I thought I would which is one upside for me. I don't know of anyone who has had a permadeath in this game yet so I'm not sure if it is just to scare people into trying their best not to die so they won't have to restart the game all over again. I've most likely still got a fair way to go in this game so I haven't added any spoilers to ruin it for anyone but what I can say is it immerses you and leaves you wanting to push forward to help Senua and prove her voices wrong, she can do it! It's more than worth the £25 price tag, in my opinion, the game is 8 hours long but I think it will take me a bit longer to play it as I do need breaks but I hope to finish it before the Destiny 2 comes out on September 6th which is just around the corner! 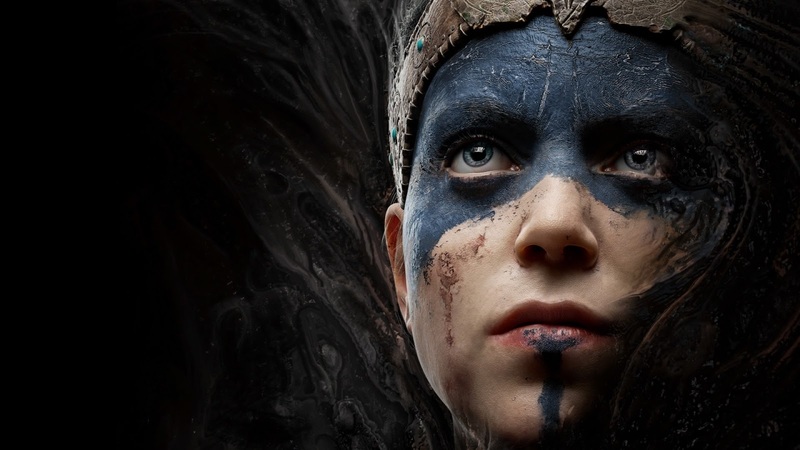 This is easily one of my favourite game releases of this year so far and one I think could easily be made into a sequel, Ninja Theory did such a fantastic job with this game, from the sound to Senua's character who is portrayed by Melina Juergens, the graphics are so lifelike and brought to life wonderfully, the team should be so proud of what they have achieved!